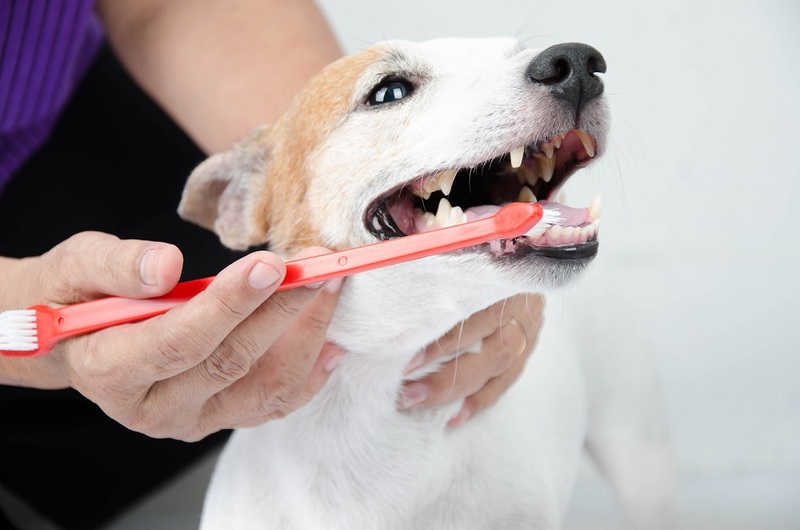 Are you taking care of your dog’s oral hygiene? Are your pet’s teeth clean? We often ignore the importance of oral hygiene of our dog. The first sign of the dental disease is bad breath. Periodontal disease can lead to serious health issues in our pet. Therefore, it is very important to take care of your pet teeth. If proper care is not taken, it can lead to painful abscesses, tooth loss, and infection in the dog’s body. It can also lead to increased risk for heart disease and permanent jaw damage. Look at his teeth and gums on a regular basis. I do the regular check-up of my dog’s teeth. Dog’s teeth must be clean and white. Gums must be pink in color. Consult your vet if his teeth are brown and gums white or red. If the teeth are not cleaned properly, the situation can worsen. Brushing his teeth is quite important to prevent from the building of plaque. Brush his teeth often. Although your dog will not like to brush, you have to train him. Use toothpaste that is made for the dog. The chemicals present in the normal toothpaste can be toxic to the dog. Dog toothpaste comes in their favorite flavors of peanut butter or chicken. It helps to break down plaque and fight against bacteria. You can pick canine toothbrush. You can analyze that which your dog likes toothbrush. Start cleaning the teeth of your dog since his childhood. If your dog dislikes brushing his teeth, then tooth wipes are the best solution. These tooth wipes are rubbed on the teeth to remove plaque. It will also remove bacteria and food from his teeth. They are not able to reach tiny nooks and corners else they work similar to brush. Easier to manage as compared to toothbrush and toothpaste. Dental treats remove plaque. It contains ingredients that clean your dog’s mouth and keeps his breath fresh. They do the efficient cleaning of your dog’s mouth. Treats are available in different shapes, sizes, and flavors. My dog loves to clean his mouth with a dental treat. There are many chews that have teeth cleaning properties and taking care of overall oral health. Chews are made from meat containing enzymes. Chews also help in removing plaques. There are many chews like cow ears, dry tendon, chicken strips and bully sticks. Your dog will enjoy chewing them. Zero calorie chews in rubber or nylon are also the best option to promote dental health as they help in cleaning his teeth by scraping the plaque. P.S. Observe your dog when he chews to avoid choking. Promote your dog to eat fresh vegetables, fruits, and meat as they form less tartar on teeth. It is an effective tool to improve their eating habits. It will keep their teeth healthy. Encourage him to eat homemade dog food. Whole foods will make his teeth stronger. In breakfast, you can give your dog slices of carrot, pumpkin or squash. Chewing these foods will scrape the food from his teeth. Avoid giving him the food made from By-products, cereal grains, and meals. I avoid giving food rich in sugar and fats to my dog as they can stick to his teeth. Allowing your dog to chew the bone for 10-20 minutes after the meal is really necessary as it will help to reduce building plaque in upper and lower molar. This method need to be repeated for several times in a week. After your dog has chewed the bone, wash it carefully, place it in the fridge and boil it before giving him next time; boiling the bone will make it softer to chew. You also have to avoid the bones that are made from starch like corn, rice flour, and potato. But remember that starch-based bone can stick in teeth. P.S. : My dog follows this practice every alternate day as it likes to chew the bone after the meal. Your dog will also like to chew the bone. You may use this method by mixing teeth and gum cleaning solution and applying to the teeth and gums. This mixture softens the plaque and helps to fight against bacteria as well as prevents the risk of gum disease. In the case of bad breath, you can add baking soda or liquid chlorophyll in the solution then Apply it to upper molars. With the help of gauze sponge rub the solution on stained teeth. This process need to be followed for 2-3 weeks. After that, you can scrape the plaque from the teeth by using a soft towel, Q-tip, and fingernails. 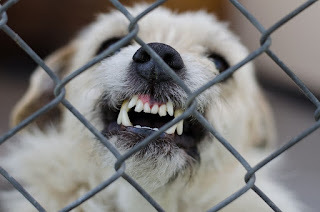 For small dogs, you need to use a q tip to apply the solution on gums and teeth. This treatment is expensive, yet helpful if any of tooth problem goes unnoticed from your eyes. Can cats eat dog food? The cat foods is different from the dog food. For proper nutrition, feed your cats on the food that are meant for them. Cats have different nutritional requirements when compared with dogs. Feeding your cat on dog’s food can result in malnourishment and illness in the cat. Try to incorporate any of the cleaning mentioned above habits in your pet. Clean his teeth with the technique he is comfortable with. With all your care, still, the dental problem can occur. The first symptom is the bad breath. It can result in other serious dental problems like drooling, lack of appetite and difficulty in eating. If your pet encounters any of the following symptoms, take him to vet for medical help.